Below is a review of my latest album, which I released earlier this year. Reading it still gives me goosebumps – Matt’s review is extraordinarily generous! 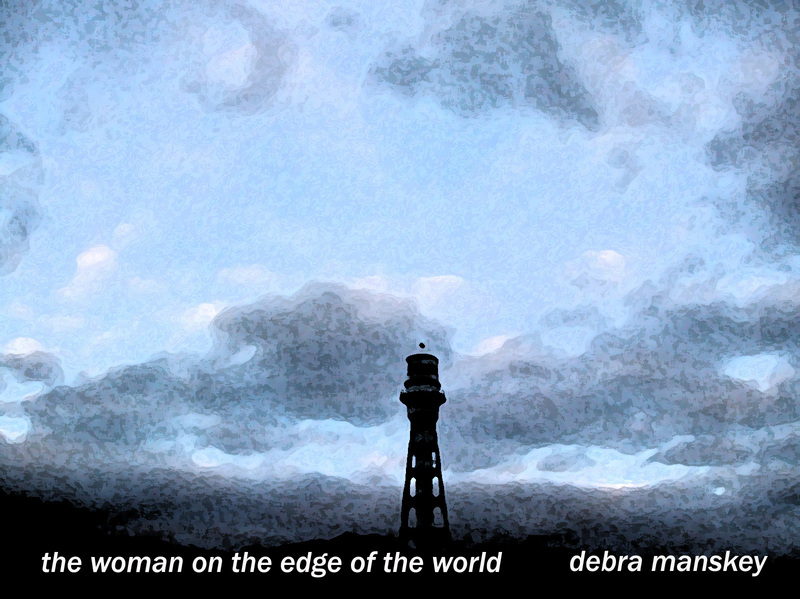 If you’re interested in having a listen, “The Woman On The Edge Of The World” is available on my SoundCloud page. Individual tracks as well as the full album are available for purchase. Sales have been very good but I’m currently looking at potential crowd-funding methods of releasing a physical CD & vinyl version, with posters and possibly art & lyric book. Many would know Deb as the female vocalist from ARIA award winning Wild Pumpkins at Midnight or more recently as one half of the blues/roots Fringe Dwellers. Like her contemporaries, Deb had always enjoyed more recognition inEurope. Angie Hart and Monique Brumby have publicly acknowledged the importance of Manskey’s influence. I won’t go into why it took 13 years to make this album but in many ways the songs tell so many beautiful stories of sadness and sorrow, perhaps it’s better to let the music tell the story. This is a stripped back acoustic album, just vocal and guitar. “Drowning On Dry Land” is perhaps the most intense song on this album, far more intimidating than anything PJ Harvey, Sinead O’Connor or Patti Smith have ever committed to tape. ”Sandy Bay” is an un-mistakenly Tasmanian song, capturing feel of the suburb and referencing the landmarks, as John Lennon did when he sang the Rubber Soul era, “In My Life”. But it’s not an entirely miserable experience. “Mr Invincible” is a wonderful up-tempo slice of pop, as is “Beautiful Life”. This album has been a long time in the making, it might be more accurately described as a greatest hits album, no doubt the toughest decision was deciding which of the hundreds of great songs she wrote in its preparation to banish to the orphanage. Manskey possesses one of the finest voices imaginable and if you buy this album you will discover, she is also one of the finest songwriters.